Take a walk through the Odette Sculpture Park and you may think you have stepped back in time. 150 million years back in time to be exact. 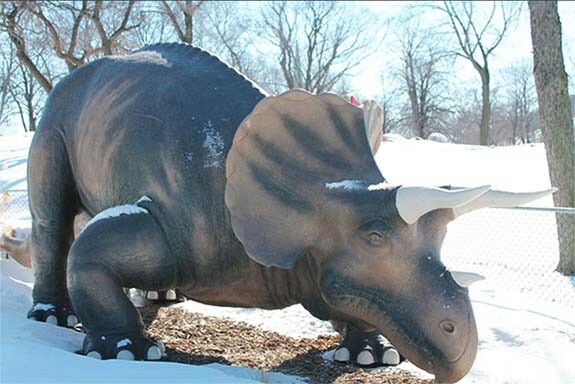 Two prehistoric additions have made their home in Ambassador Park. 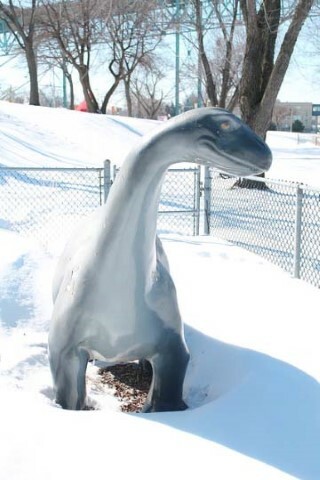 While our new Apatosaurus (or brontosaurus, as he used to be called) won't reach the average length of 80 feet or weight of 35 tons this species would have normally grown to 150 million years ago, our "thunder lizard" has found a happy home in the Odette Sculpture Park. 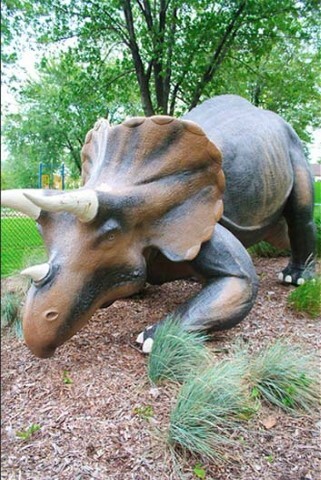 Our Triceratops is a little younger than Apatosaurus. From the late Cretaceous period about 65 million years ago, Triceratops, which literally means "three horned head", loves nibbling on the grass and watching the sun set over the Detroit River.